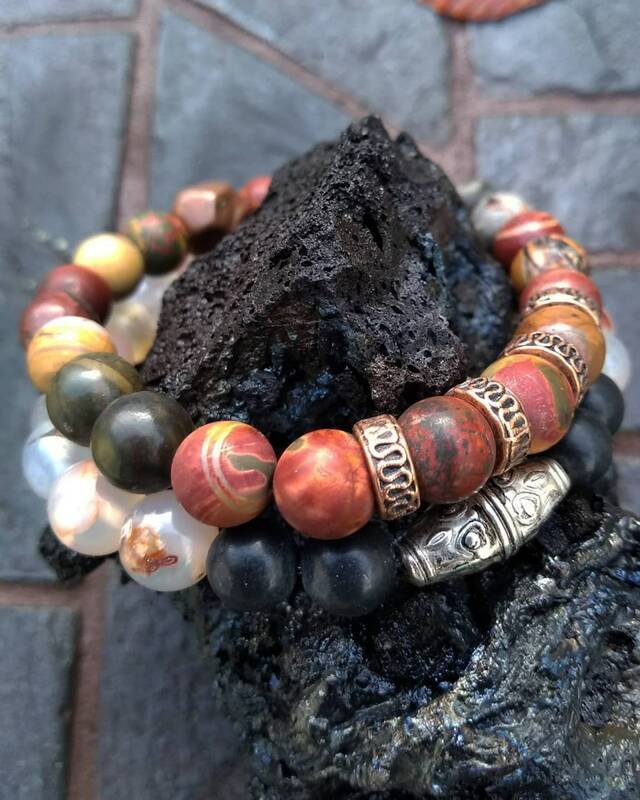 Beautiful earthtone colors in these Picasso Jasper and Flower Agate hand beaded bracelets with vintage metal beads I have found at estate sales and flea markets here in Southern California area. 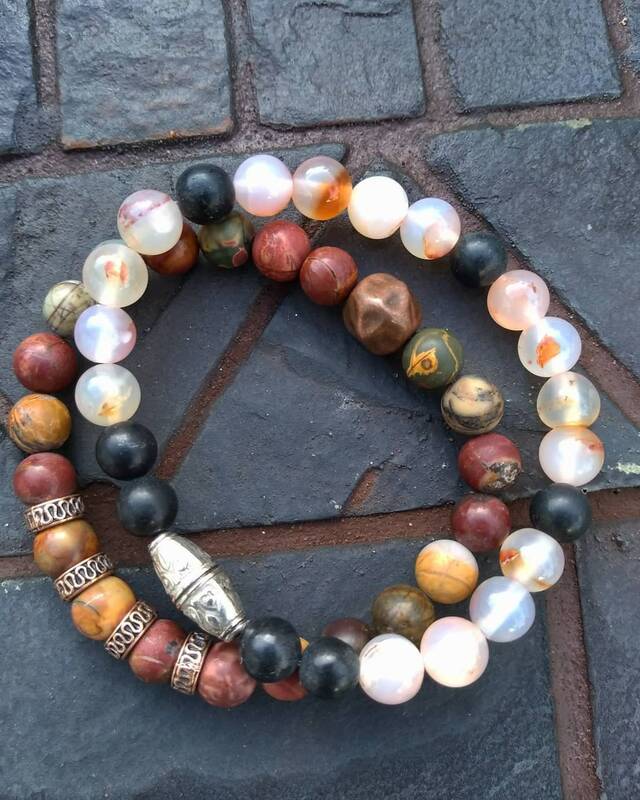 Strung on stretch cord and easy to stack with watches and look great with other bracelets. $15 each or $30 for the pair. Please indicate which bracelet you would like to order.